When three accomplished investors are bullish on a stock, can you afford not to have a part of it in your portfolio? Dolly Khanna’s timing, as usual, was perfect. When Liberty Shoes was languishing at Rs. 68 in August 2013, Dolly Khanna quietly picked up a truck load of 1,73,758 shares at the throwaway price of Rs. 68. Within 3 months, the stock had surged to Rs. 155 and I sounded the alert “Dolly Khanna Stock Pick Liberty Shoes Doubles In 3 Months. Now Get Ready For Hawkins Cookers”. After, that Dolly kept buying the stock at regular intervals. Today, she owns a massive chunk of 325,633 shares, worth Rs. 9.76 crore at the CMP of about Rs. 300. In the last one year, Liberty Shoes has given a mind-blowing return of 260%, the bulk of which has been pocketed by Dolly Khanna. Vijay Kedia has an awesome track record as a savvy investor in his own right. 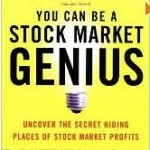 His portfolio boasts of glittering multi-baggers like Cera Sanitaryware and Atul Auto. Vijay Kedia is in fact the largest individual shareholder of Cera (300,000 shares) and Atul Auto (990,095 + 810,500 shares). The other noteworthy point is that Dolly Khanna also holds a chunk of 1,35,771 shares of Cera Sanitaryware. Inspired by Dolly Khanna, Vijay Kedia decided to grab a chunk of Liberty Shoes stock in the period from January to March 2014. He now holds 1,75,000 shares, worth about Rs. 5.25 crore. Now, the best part is that Daljeet Kohli has given us the green signal to join Dolly Khanna and Vijay Kedia in Liberty Shoes and grab a few shares for ourselves. In his latest report, Daljeet has analyzed Liberty Shoes Q1FY15 results, which cosmetically look disappointing. The net sales and the profits are lower and this has resulted in the stock tanking 8% today. Mr. Adesh Gupta, CEO, came on record and corroborated Daljeet’s analysis. Adesh Gupta confirmed that the dip in Q1FY15 was because of a deferment of a large Government order to Q2FY15. He promised that the “second quarter should be able to compensate for the loss we have made in the first quarter”. Adesh Gupta also promised that the restructuring plans would lead to increased profits. He said that “there will be definitely be quite a significant improvement in the bottomline” once the restructuring plans are in place. Daljeet has also pointed out that Liberty Shoes’ valuations of 23.7x and 16.0x its FY15E and FY16E EPS are not very challenging when you bear in mind the company’s aggressive plans to increase its store count from the present 520 to 800 over the next three years. Liberty’s strong brand recall, expansion plans and strategies to improve its growth rate have also enthused Daljeet to recommend a Buy with a target price of Rs. 400 per share, which means an upside of about 33% from the CMP. 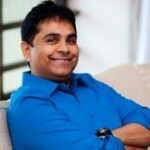 Any views about Vijay Kedia’s own listed company in the FMCG space : Lykis Limited ( http://www.lykisgroup.com/ ) ? It is listed only on BSE – Code 530689. Is it worth entering at CMP ? Mr. Shukla, the link that you have posted above leads to several brands, most unrecognized by myself. Also, if a company is solely registered on BSE should ring alarm bells for investors. Dolly Khanna is not holding the script as of now. @AP, yes , she’s holding 1.83% in Liberty shoes. Why the Liberty shoe is falling since this recommendation came out? Because the US as well as other markets are crashing. Dow went negative for the first time since February on July 31st. On the 1st of August, there was massive selling by the FIIs and a huge capital outflow, this is why the dollar rose. I haven’t bought Liberty shoes, but if I was buying one of Daljeet’s calls, I would be accumulating at any decline. Do hang around here and ask for the best strategy before buying further. Till date, I haven’t seen any call of Daljeet going wrong.